Helena has been passionate about books all of her life and has worked variously as an online editor for a human rights organisation, on a database of library design, as well as co-editing Here We Stand:women changing the world for Honno. She is a semi-vegan, feminist, gardener. Loves to walk the hills, especially with her family. Her favourite book is usually the current one… First book love was Ursula K. Le Guin’s Earthsea Trilogy, and she still reads a lot of female SF writers. Caroline has worked in general trade publishing for over thirty years and has edited a number of award winning and bestselling authors. When not working she likes to walk in the woods, make her own clothes, grown her own food and clear up after her housemates (all seven of whom have four legs). If pushed she will say that her favourite non-Honno book is Angela Carter’s The Infernal Desire Machines of Doctor Hoffman (or maybe Stig of the Dump or The Just So Stories or Black & Blue or The Ballad of Lee Cotton etc, etc). Honno is managed by an enthusiastic committee of volunteer women from Wales, who meet regularly to support the staff, discuss the books, manage the finances and determine the strategic direction of Honno. They have a wide mix of different work experiences and are from all over Wales. Our only rules for committee members are that they must be Welsh women and Honno shareholders – and Honno cannot publish books by committee members. Eurwen Booth found Honno its present home in Ceredigion and successfully applied for funding for office space and computer equipment – also housing a whole stock of books at home during the process! She was the assistant to Honno’s first funded editor, Elin ap Hywel. She assists with Honno’s proofreading, translation and the Clasuron Honno. 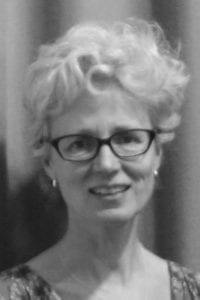 Cathryn Charnell-White: For Cathryn Charnell-White an eighteenth-century specialist and editor of an anthology of Early Modern Welsh women’s poetry (Beirdd Ceridwen), her involvement with the Honno committee is an extension of her interest in Welsh literature and women’s studies. Cathryn is Head of the Department of Welsh and Celtic Studies at Aberystwyth University. 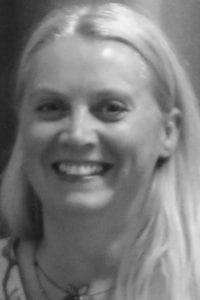 Nicola Craddock was fortunate enough to work for Honno as the Marketing Manager when she lived in Aberystwyth in the early 2000’s. She is now a maths teacher but looks back on her days at Honno with immense gratitude, and with affection and admiration for what it has achieved. She now wants to give something back and so has joined the committee to offer her finance and marketing experience. Winifred Davies is Emeritus Professor of German at Aberystwyth University and was Head of the Department of Modern Languages when she retired. She has published widely on linguistic topics (including gender and language) and has extensive experience of editing and administration. Nicky Herriot has found her dream volunteering role, reading stories for Honno. 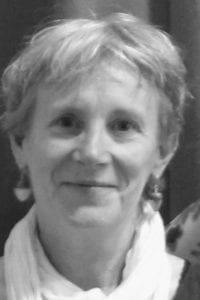 With an MA in Creative Writing from Trinity College Carmarthen and a published writer of short stories herself she assists with Honno’s selection process and proofreading. As a professional Volunteer Coordinator Nicky also helps the team work with student volunteers. Addicted to books, she is delighted to have become involved with Honno. Carol Jenkins: worked in education for many years – as a teacher and in educational publishing, amongst other things. As an avid reader of novels, she is very pleased to have become involved with Honno. Rosanne Reeves: Rosanne was brought up in Ceredigion and now lives in Dinas Powys. She is a founder member of Honno, and her main interest is Welsh writing by women in the late 19th and early 20th century. Her title Dwy Gymraes, Dwy Gymru: Bywyd a Gwaith Gwyneth Vaughan a Sara Maria Saunders, (UWP) was published in 2014. 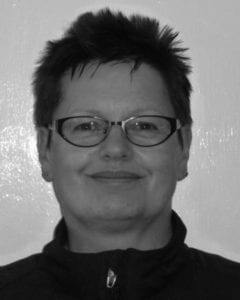 She is currently joint editor of Honno’s Welsh language Classics series. Gwyneth Tyson Roberts: After working in Baghdad, Lisbon and London, Gwyneth Tyson Roberts moved to Aberystwyth in 1994. She has edited a Honno anthology and contributed to several Honno collections of short stories, and has a particular interest in women’s writing in 19th-century Wales. Janet Thomas: Janet is Editor for Firefly Press, a children’s book publisher she set up with Penny Thomas in 2013. She lives in Aberystwyth. She was Honno Editor for two years, and edited several Honno anthologies, before joining the committee. Gwenda Williams has spent most of her working life in the voluntary and not for profit sector, both in a paid capacity and as a member of the management committee of a number of organisations. Her experience has given her a broad understanding and knowledge of organisational management in the sector which is useful for the organisational side of Honno. She also like reading novels and poetry.